We are a Concierge Renovation Management Firm. 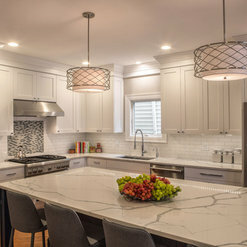 We work with homeowners who want a personalized approach to their renovation project to ensure the project is completed on time and within the established budget. Our ultimate goal is to save our Clients time and money. 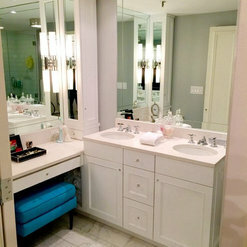 We hired Braun Renovation Management to remodel our master and guest bathrooms. Working with Josh and his crew was easy and professional. They are experts at what they do and this comes through in both the guidance during the process and the project results. It was apparent to us that client satisfaction was very important to them as this was obviously important to us as well. We would recommend this team to anyone looking for a high quality team and amazing finished product. 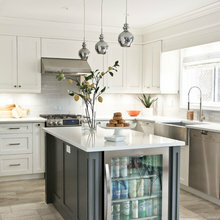 We hired Braun Renovation Management to renovate our kitchen this past summer. Josh and his team were terrific. Josh was there every step of the way from pre-construction planning to post construction touch ups. He was on budget and on time and his knowledge was so extensive that he made difficult decisions easy to navigate. 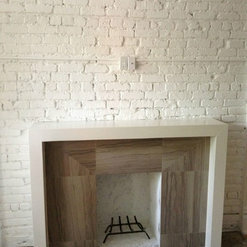 When work began, his team was terrific and professional and the quality of the work exceeded our expectations. We would highly recommend Josh to any person looking to do work on their home. I hired Josh to do a full kitchen and bathroom remodel in a high rise building. He was professional, curtious, patient and a pleasure to work with. His group of tradespeople (electricians, tile layers, carpenters etc) were all of the highest quality and equally professional and a pleasure to work with. Josh oversaw every step of the process, consulted with me, was reachable at all times, and genuinely committed to the successful completion of the job. I'd hire him again in a heart beat. Love working together on all renovation projects. They understand the value of doing a quality job. 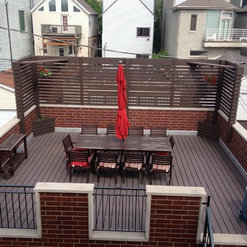 We enjoy working with companies that value craftsmanship, great customer service, excellent design, and use the best materials. Looking forward to seeing other great projects they have. 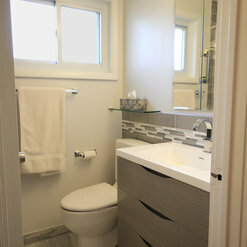 We enjoyed working with Josh & Braun Renovation for our recent bathroom remodel. Our bathroom looks amazing and totally brand new. Josh was upfront in letting us know that there may be some costs not included in the estimate and that the ultimate price could change, especially since we have an 80-100 year old home. Josh was very prompt in contacting us an issue would come up and offered multiple options on dealing with the issue, taking into account cost, convenience, and added project duration. 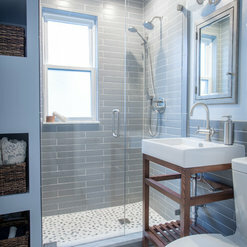 Notably, during the evaluation and estimate, Josh listened and took into account potential renovations to other parts of our home and, whenever an issue arose, suggested work that could be done during the bathroom renovation that would make future renovations easier and less costly. Braun Renovation made our bathroom remodel painless (or at least as painless as a gut bathroom renovation can be on an older home can be). Big thanks to Josh and the Braun Renovation team. 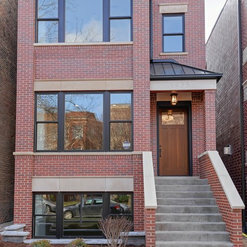 I have worked with a lot of developers and home remodelers. I have never experienced a contractor being on time where he had a schedule for every trade and the appointments were met. Also, I requested that the home be left in clean condition every day. There was not an ounce of dust. Lastly, the finished product turned out beyond my expectations. The bathroom is absolutely beautifully. 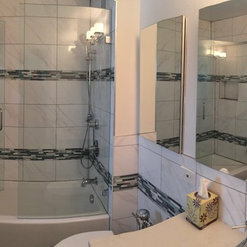 I could not have been more happy with the work from Braun Renovation with my bathroom. 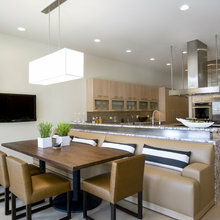 I was walked through the project process, consulted on my design preferences, and went over the budget thoroughly. Not only did the project finish on time, but it finished under budget as well. I have never had that happen with any other remodels! And let me not forget how wonderful the entire team was. Polite, efficient, and a joy to be around. You could tell that they love working for the company and it shows. They did such a fantastic job, I'm now having them redo my kitchen! Thanks to the Braun Team! Braun Renovation Management provided competitive pricing, one on one discussions regarding the project from beginning to end and really set the bar for customer service and follow through. I am very pleased that we got the chance to work with Josh and his team. Thanks again for the great work you guys did with our very challenging bathroom rehab and the new ceiling structural supports. 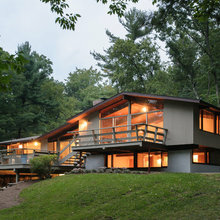 BRM has worked on multiple projects for our family. The largest project involving replacing all of the floors in our house, painting all of the walls, renovating the kitchen, and reworking the laundry and an adjoining bathroom. Josh was very organized during the process and did a great job of keeping to our time schedule and budget. 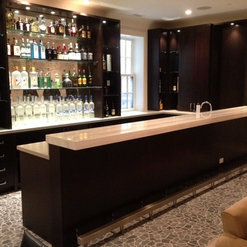 We were very pleased with the final product and have used BRM for multiple projects since then. 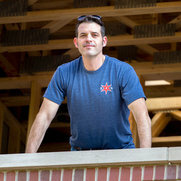 Josh has a real appreciation for preserving the character of old homes and has the significant knowledge and experience required to do things right to make newly renovated components blend seamlessly into the existing structure. 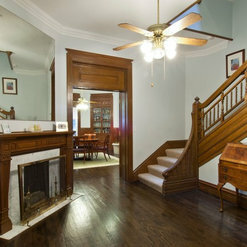 I have used BRM for several jobs ranging from a bath and kitchen rehab to full blown remodeling jobs. Josh Braun provided detailed estimates from a variety of contractors in a concise and easy to read format and walked me through the best options for each of my jobs. He then coordinated all the trades, helped pick-out materials and even delivered items to the job site when timing was tight. Josh was very professional and helped navigate any hiccups that came up. Braun Renovaion just completed renovating my townhouse. I am very pleased with the outcome. Josh was on top of everything, letting me know the progress as we went along. Josh was also very careful to keep the project within budget. The crew he has working for him were gentlemen every step of the way, ie: very attentive to my concerns, always had a solution. I highly recommend Braun Renovation for all renovation needs. 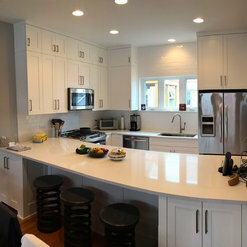 BRM did an incredible job on our kitchen renovation/remodel. They were on-time and below budget without sacrificing quality. Josh Braun was incredibly attentive and responsive - always available when we had a request or question. His consultative and honest approach was a breath of fresh air compared to past projects done by other companies. The quality of work exceeded my expectations. I would highly recommend Josh and Braun Renovation Management. Commented: Need help on kitchen flipRemove the header over the window and make it square (the curve is dated). Put handles on the cabinets. 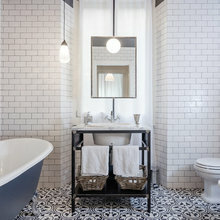 Tile is very in right now in the kitchen, You have alternative photos? Commented: Remodeling our bathroomStart with a drawing that is actually accurate and has measurements. If you want to keep your costs down stick with standard sized products.